This article is about the YONEX BWF World Badminton Championships, London 2011, which is held from August 08 2011 to August 14 2011. This article summarises the basic format and the schedule for the tournament and the prizes for the players. YONEX BWF World Badminton Championships, London 2011 is the latest buzz in the badminton world that promises to have something special this time. Staged at the 2012 Olympic venue, the Wembley Arena, the tournament kicks off on 8th of august to 14th of august 2011 and invites players from around the world. First held in 2009, The YONEX BWF World Badminton Championship has listed itself as one of the world's most prestigious tournaments of the year held in England. The tournament is also another step towards promoting Badminton among the English people and around the continent. Ranging from various categories of participation including Men's Singles, Men's Double, Women's Singles Women's doubles and Mixed Doubles, the senior Badminton tournament has already gained attention of the seeded players around the world. The format for BWF World Badminton Championship is following a two time first round in which matches of each of the categories will be held twice instead of direct elimination. On August 8th the 1st leg of the round of 64 will be held for all the categories, comprising of 16 matches of Men's Singles, 16 matches of each, Men's Doubles, Women's Doubles and Women's Singles and 8 matches of Mixed Doubles. On August 9 2011, the second legs of Round of 64 will be held for Men's Singles and Mixed Doubles, followed by first leg of Round of 32 for Women's Singles, Mixed Doubles, Women's Doubles, and Men's Doubles. On August 10th 2011, Round of 32 for the Men's Singles will be held Followed by the second leg of the Round of 32 for Women's Singles, Mixed Doubles, Women's Doubles, and Men's Doubles. August 11th will witness the Round of 16 for all the categories without a second leg followed by the Quarter Finals on August 12th, the semi finals on August 13th and the BWF World Badminton Championship, London 2011 final will be held on August 14th. 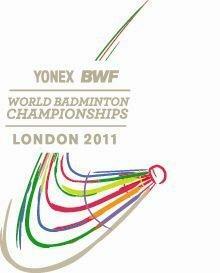 BWF World Badminton Championship, London 2011 prize money. The YONEX BWF World Badminton Championship, London 2011 prize money for this tournament is set on a cumulative basis for each round the payer or the team qualifies, reaching up to the maximum of 350, 000 USD at the final stage. Apart from the prize money in individual rounds, the tournament seeds the players according to the performance by the ranking system set by the BWF. Better performance of the player fetches the players better rankings and winning the rounds in the upper levels deliver more ranking points. On the basis of the world rankings, the players are eligible to qualify for other World Championships and Olympic Games. The BWF World Badminton Championship, London 2011 is designed to give a chance to the players to boost up their rankings before the start of the Olympic Games 2012 which are to be held in Lodon.